Coming up is the last holiday weekend of the summer. Enjoy summer rates here at Thurston House, and visit some of the wonderful attractions this area offers to you. A short stroll away from us is the Audubon Birds of Prey Center, the Maitland Art Center and the Maitland Historical Museums. Pop into Athena Chicken for a bite, check out Hally’s Antique Mall, and grab a bottle of wine at the Maitland Wine Store. 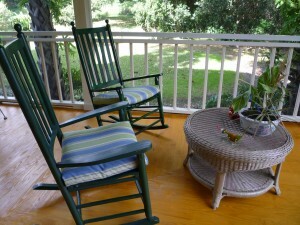 End the day relaxing on our beautiful wraparound porch…book now while rooms are still available! North Orlando – Travel Specials Announced! Thurston House bed & breakfast, in the beautiful Maitland Winter Park area of Central Florida, has just posted several specials on their website. Just because the economy may be challenging doesn’t mean you can’t enjoy a night away just for YOU. 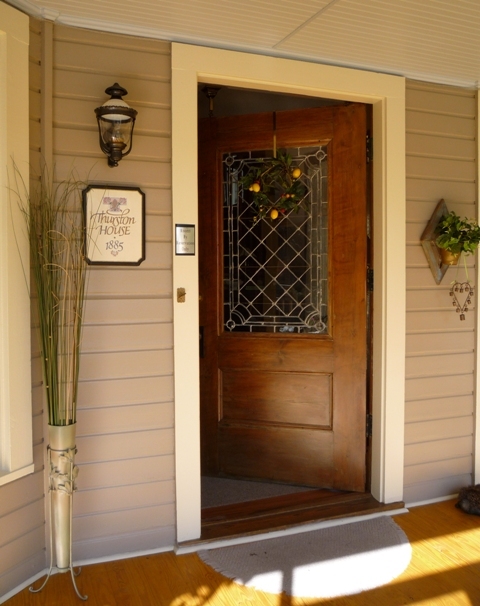 Call the innkeeper or book on line NOW…HURRY!